Molecular characterization is useful mainly for epidemiologic purposes and for investigations into pathogenesis and disease progression. 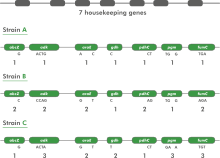 BioNumerics provides a rich and uniquely integrated sequence analysis platform, which allows the investigation of genetic relatedness of viral isolates. 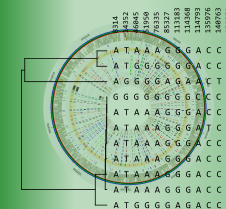 The TaqMan® SNP genotyping technology utilizes the 5’ nuclease activity of Taq polymerase to generate a fluorescent signal during PCR. 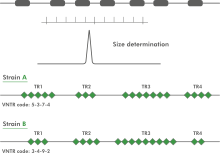 For each SNP, the assay uses two TaqMan® probes that differ in sequence only at the SNP site, with one probe complementary to the wild-type allele and the other to the variant allele. 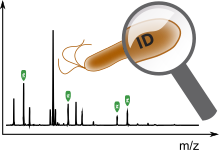 The technique utilizes the FRET technology whereby a 5’ reporter dye and a 3’ quencher dye are covalently linked to the wild-type and variant allele probes. In marker assisted breeding, successful cross-over is assisted and facilitated by genetic markers. 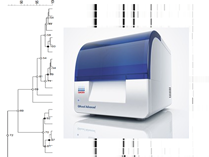 A commonly used DNA marker technology is Amplified Fragment Length Polymorphism (AFLP) analysis, where selectively amplified whole genome restriction fragments are separated via electrophoresis into a complex band profile. 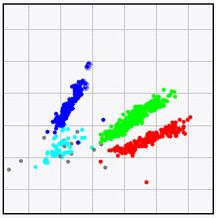 The occurrence of specific bands can be linked to the presence of particular phenotypic traits. 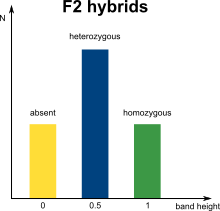 In diploid organisms however, a phenotypic trait can be homozygous or heterozygous, which in theory will result in marker bands that can have double or single intensities. 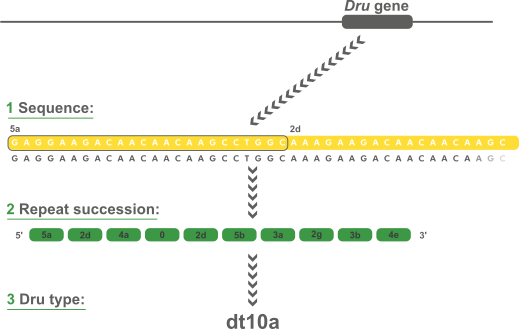 Hetero-Duplex Analysis (HDA) is an easy and cost-effective technique for rapid screening of mutations. 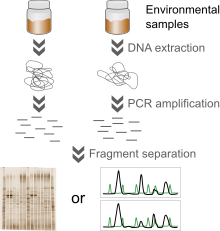 DNA from target genes is amplified by PCR followed by a denaturation step. After renaturation, heterozygous mutant DNA or mixed wild-type and mutant DNA form heteroduplexes. This heteroduplex DNA has a different electrophoretic migration behavior compared to corresponding homoduplex DNA. 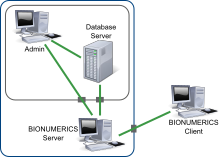 The BioNumerics HIV drug resistance analysis application is a plugin-based expert system for automated prediction of antiretroviral drug resistance/susceptibility of HIV strains based on pol gene sequencing. Multiplex Ligation-dependent Probe Amplification (MLPA), a registered trademark of MRC-Holland, is a relatively simple and robust multiplex PCR method for detecting chromosomal DNA copy number changes in multiple targets.